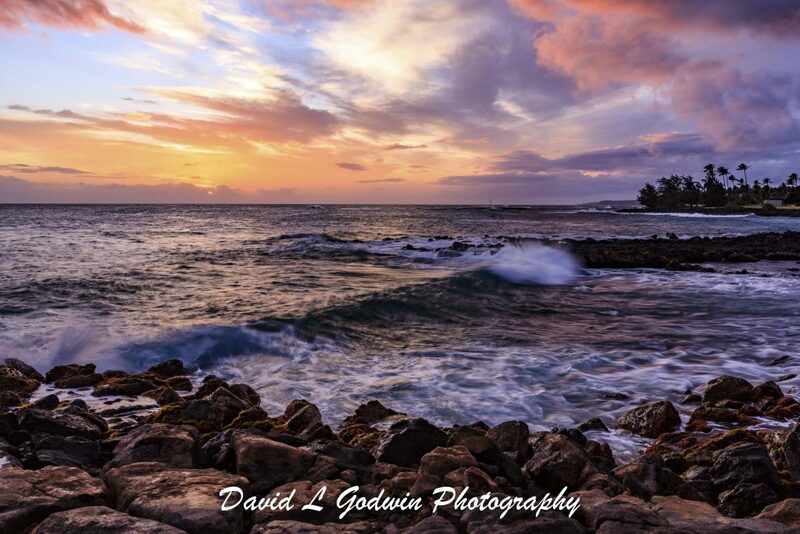 The southern part of the island is a great place to be at sunset also ! 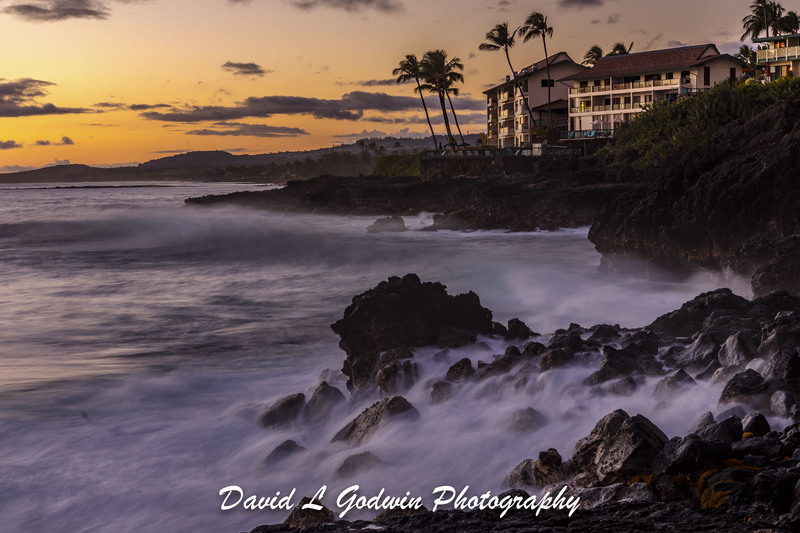 These images were taken either just before or just after the sunset. The multi layered clouds can create a variety of colorful streaks in the sky. Those streaks can be reflected in the water along sandy and/or rocky beach. The first image in this sequence shows some large puffy clouds that was part of a big storm that hit the island. 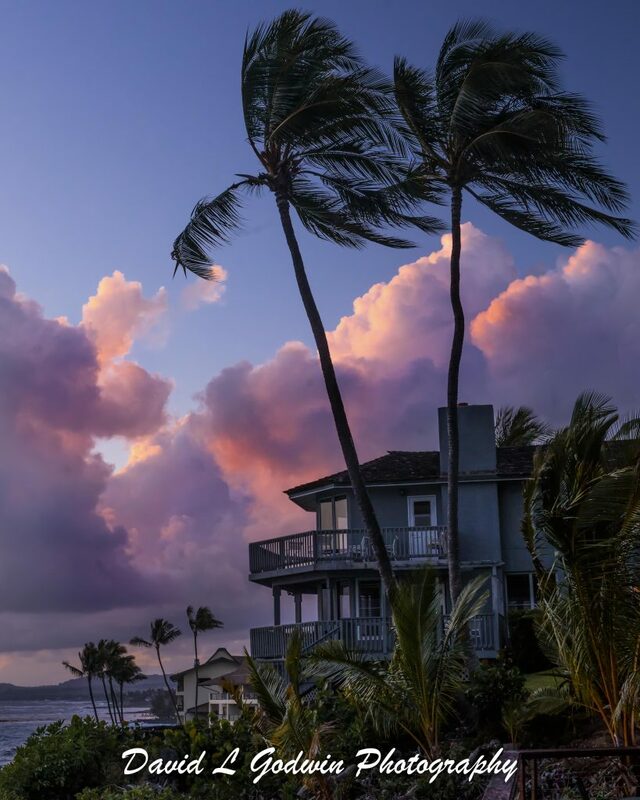 The sunset has introduced some pink and orange colors in the sky and the strong winds are reflected in the branches of the two main palm trees. The second image of this sequence is one of my favorites I capture during my vacation. You can see along way down the coastline at sunset. The image requires long shutter speeds to get a good exposure and those long shutter speed create some interesting water motion effects. I love the motion streaks in the water that is washing over the rocks in the foreground ! 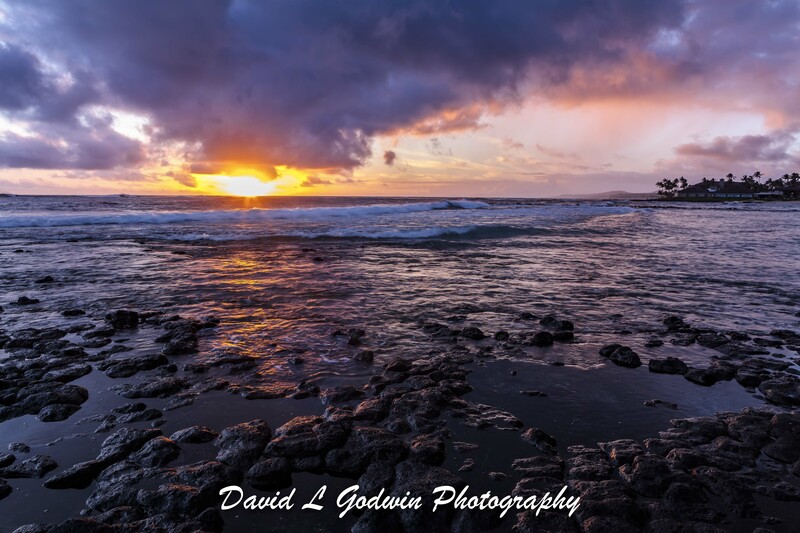 The next 2 images are examples of the color sky being reflected in the coastline rocks and standing tide pools !